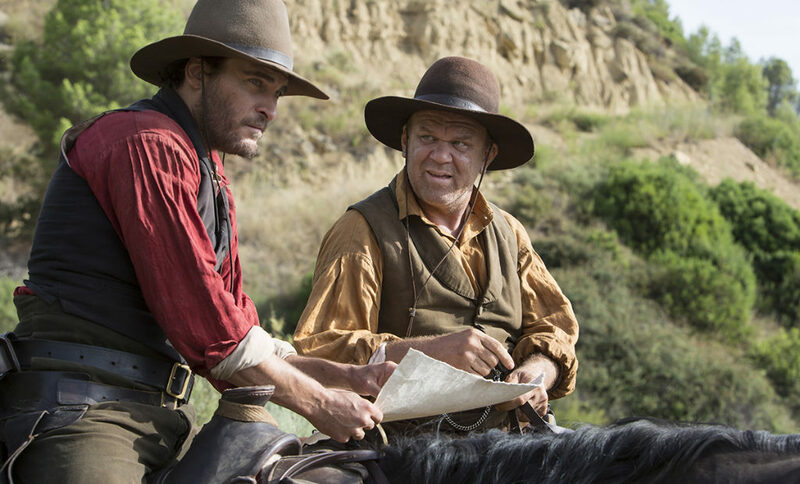 Siblings Charlie and Eli Sisters (Joaquin Phoenix and John C Reilly) are men on a mission. Tasked by their employer, The Commodore (Rutger Hauer), the assassins must travel from Oregon to California in order to hunt and kill Hermann Kermit Warm (Riz Ahmed), despite the risky and cumbersome nature of the job. With a series of extraordinary challenges thrown their way, the brothers learn to work through their differences and grow closer as a result. 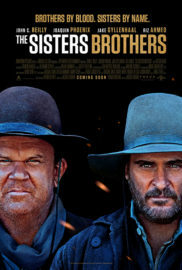 From acclaimed director Jacques Audiard comes The Sisters Brothers, a Western dark-comedy adaptation of Patrick deWitt’s historical novel of the same name, which subverts the conventionality of the cowboy-infused genre by placing its focus on the evolution of Charlie and Eli’s relationship and enabling this factor to take precedence over the film’s battle sequences. With polar opposite personalities to begin with – Eli as the mature but submissive older brother and Charlie as the alcoholic daredevil – the narrative adopts a coming-of-age stance by the end, showcasing Charlie’s transformation into a man who swaps rivalry and childishness for comradeship. Set in 1851 during the California Gold Rush, the event a defining plot point in the film, The Sisters Brothers makes its 19th century timeline known to its viewers, particularly through Eli’s fascination with toothbrushes – the first patent for a toothbrush was only granted in 1857, though mass production in the United States did not begin until 1885, hence his accentuated curiosity in this new prototype. With beautifully shot landscapes and an A-list cast of actors, including the supremely talented Jake Gyllenhaal driving the story forwards, The Sisters Brothers is a joy to watch and immerse oneself in, though the scenes depicting bloodshed can get graphic at times, so do keep an eye out for some limb amputation being carried out on screen. The Sisters Brothers is released nationwide on 5th April 2019.